About Bill Wilkinson Optical Centre? 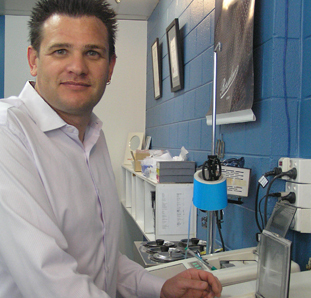 Bill Wilkinson Optical Centre has operated as an optometry practice and optical retail store in Bendigo for over thirty years. From its origins, until early 2012, it was owned and operated successfully by Mr Bill Wilkinson. In early 2012, Mr Bill Wilkinson retired and the business, Bill Wilkinson Optical Centre, was purchased by Nicole Baines & Jason Richter. Nicole Baines, an Optometrist and long time employee of Bill Wilkinson Optical Centre, is a co-director of Lilisa Pty Ltd, along with her husband Jason Richter, who comes to the business with fifteen years experience as an Optical Dispenser. Both Jason and Nicole, proudly Bendigo “born and bred,” are delighted to continue the tradition of excellent customer care and service that Bill Wilkinson Optical Centre provides. “We are determined to remain a truly independent and local business, supporting our local community and employing local people”. Nicole is a qualified optometrist who graduated from the University of Melbourne in 1994, having the degree of Bachelor of Optometry awarded to her in March 1995. 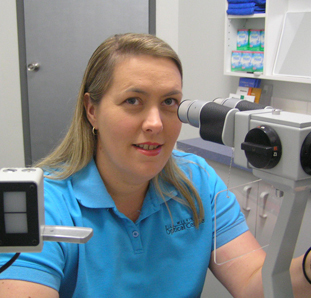 Nicole has practiced optometry in Bendigo since graduating, finally settling into her position with Bill Wilkinson Optical Centre in late 1999. Nicole is a member of the Optometrists Association of Australia, a Fellow of the Australian College of Optometry and is registered with the Australian Health Practitioners Regulation Agency Optometry Board. 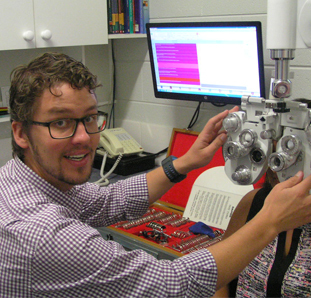 Caleb is a qualified optometrist who graduated from the University of Melbourne in 2007, having the degree of Bachelor of Optometry with Therapeutic endorsement. He is committed to keeping abreast of the latest developments in technology and management of eye diseases to remain equipped to deliver the highest levels of patient eye care. Caleb has particular interests in the early detection and management of ocular disease and is therapeutically endorsed to prescribe ocular medications. 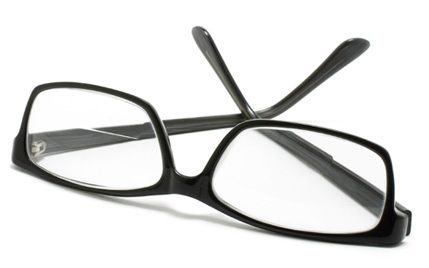 Children’s vision and contact lenses are also areas of interest.